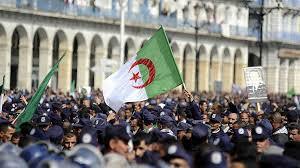 Algeria is bursting into the news as the latest example of popular revolution in the woefully misgoverned Arab world. After seven weeks of mass street protests, Algeria’s ruler for the past two decades, Abdelaziz Bouteflika, finally faced the inevitable and resigned after a big shove from the army and the governing elite, known as ‘le pouvoir’ (the power) It would be good to see Algeria’s military step back and give up its unproductive role in politics. Algeria urgently needs to develop its civilian economy away from oil and gas. When they run out, Algeria will be forced to rely on agriculture and fishing.